In a bid to diversify its product base, concrete pump manufacturer Schwing Stetter (India) has decided to enter the tower crane market. The company will start with two models, a 35 metre high five tonne model – the XGT63YD (5013-5) and the 50 metre six tonne XGT100YD. The cranes will be supplied by Chinese equipment manufacturer XCMG, which holds a 60 percent stake in Schwing Stetter’s German parent, the Schwing Group. The cranes will be branded Schwing-XCMG and will initially be imported complete from China, but the intention is to manufacture an increasing proportion of them in India to a point within the year or so where around 80 percent of the crane will be built locally. The company will take a decision within the next six months regarding the need for an additional facility to build cranes. Schwing Stetter (India) managing director Anand Sundaresan said: “the launch marks the diversification of the product base for the Indian subsidiary. 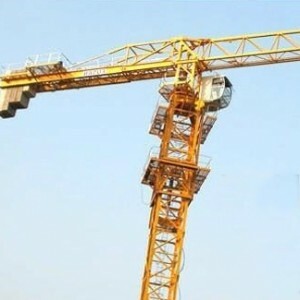 In line with the anticipated growth in infrastructure development and construction industry here, the company had decided on launching two models of tower cranes. The five tonne capacity tower crane is the most in demand in the domestic market, followed by the six-tonne crane”. The company has said that the five tonne unit, XGT63YD (5013-5), will be priced at about R6 million ($96,000) while the six tonne XGT100YD at R9 million ($145,000).